Bard College Raptors Men’s Soccer Camp Clinic is offering a clinic for boys high school soccer players interested in playing at the college level. The clinic will be at the Lorenzo Ferrari Soccer and Lacrosse Complex on the Bard campus. Players will develop individual skills under the guidance of Bard Head Coach Brandon Jackson. Bard College is a private institution that was founded in 1860. It utilizes a semester-based academic calendar. Bard College’s ranking in the edition of Best Colleges is National Liberal Arts Colleges, 49. Located in Annandale-on-Hudson, N.Y., the secluded school is close to the Hudson River and the Catskill Mountains. First-year students must live in one of more than 40 residence halls and houses, on campus, some of which have “alcohol free,” “quiet” and “wellness” themes. For outdoor recreation, students can go horseback riding, canoeing, hiking and biking. The Bard Raptors sports teams are members of the NCAA Division III Liberty League. Through the Bard-Rockefeller Semester in Science, students can enroll in an intensive semester of research and study at New York’s Rockefeller University. Bard has unique graduate degree options such as a master’s of music in conducting through its Conservatory of Music and a doctorate of philosophy in decorative arts. Notable alumni of Bard College include journalist Matt Taibbi; actor Christopher Guest; and the founders of Steely Dan, musicians Donald Fagen and Walter Becker. Brandon Jackson joined the coaching staff at Bard in 2015 after having run an attacking clinic for the team the season prior. He became the Head Coach in 2016, shortly after the passing of former Head Coach Andy McCabe. Coach Jackson was a striker on the 2007 Middlebury College soccer team that won the NCAA Div. III National Championships. He scored the winning penalty kick that sealed the historic victory in the final against Trinity, Texas. Coach Jackson is the recruiting director of the Bard program off the pitch and chief architect of Bard’s attack on it. He shared the Coaching Staff of the Year Award from the Liberty League with Coach McCabe after the 2015 season. 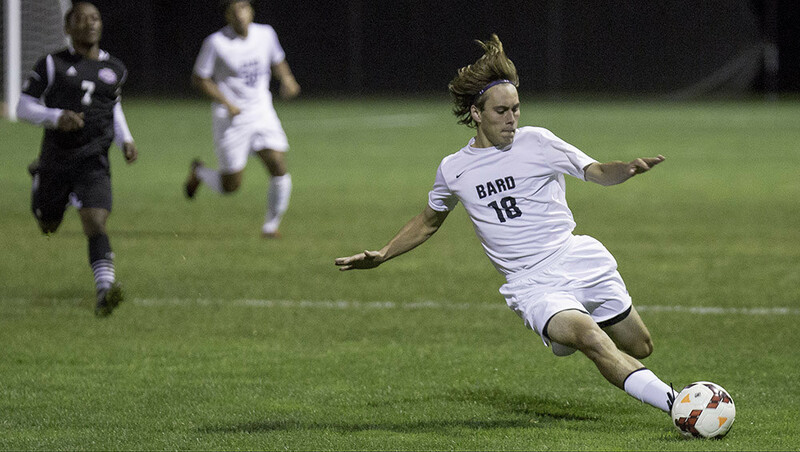 Bard College Raptors Men's Soccer Camp Clinic is offering a clinic for boys high school soccer players interested in playing at the college level.